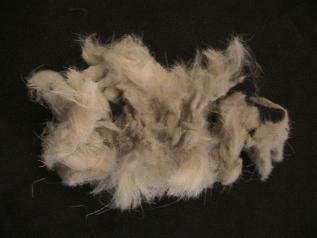 their wool/mohair/fiber often contains dirt and natural oils. and felt if the fiber is stirred around in the water. "Go ahead! Make my Day!" protect her lambs from ANYTHING....including me. even if I'm outside her pen. She has wonderful wool, though, and she always raises good lambs. of cloth? Follow the journey from fiber to fabric! undercoat that is used to make luxury garments. 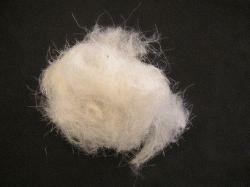 Angora fiber is produced by fluffy Angora rabbits! Of course some fiber comes from plants. Cotton comes from the cotton plant. 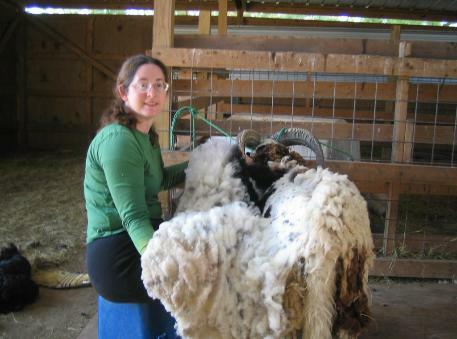 To understand wool, you need to know a little about sheep. 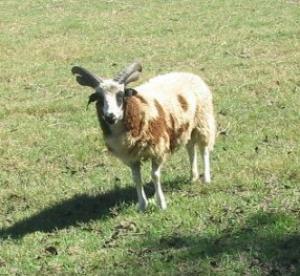 There are literally hundreds of breeds of sheep in the world. wool in the summer; they are raised for meat. 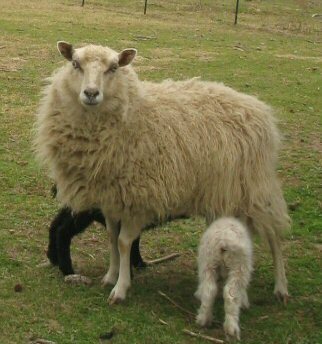 baby sheep is called lamb. Jacob is a pretty good boy, though. 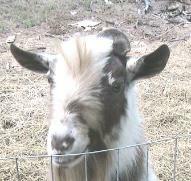 I use hand shears and shear the animals mostly standing up. 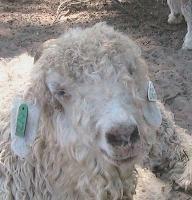 takes me 1/2 hour or more to shear an animal. can clip an animal in 2 minutes or so.